That feeling of inclusion, acceptance, and safety is something we long for, however often we tend to push it away. We are thirsty to belong to someone, something, or somewhere. Belonging, in its truest form, is when we are remembered, heard, seen, and known. It’s an intimate space that you know you can return to and find familiarity. Belonging, in today’s culture, is sometimes like trying to grab hold of a slippery pool noodle. You don’t have to belong everywhere. For those of us whose stories involve a lot of change, you may feel isolated when people don’t understand where you’re at in life. You might be frustrated that, after years of living in this new place, you still haven’t found that group or that place, the one that feels comfortable and familiar. Maybe you’re on the verge of a big change and feel like new relationships just aren’t worth pursuing. Maybe you’ve felt misunderstood by your family or the people around you. Or maybe you’ve lived in the same place your whole life and have had a core group of supporters around you, but can relate to feeling a little bit on the outside at times. What I’m getting at here is that we all want to fit in, to feel valued, and to fill in the gaps of emptiness or longing that we see. And sometimes we expect others to be that for us, too. Yet, I’m in constant need of the reminder that I can’t be everything for everyone, that none of us can! We just simply can’t have every relationship or expect to be involved in everything, and – brace yourselves – that’s okay. Talk about relieving! So let’s live freely; let’s practice the art of thriving where we are, of recognizing our limitations, and continually trusting that God is big enough to work in places that we cannot reach. We belong to Christ alone. Before anyone or anything, this is the foundation we must stand in. This world is not our home, because we don’t belong here. We feel it when we sin against others, or others sin against us. We see it when tragedies happen unexpectedly to people who don’t deserve it. We hear it when we pray. As believers, we need to remember that Christ calls us his very own! This means that we are brought into his family, that we have a place at his table. Our true family is in the Father, Son, and Spirit, and it’s unlike any other relationship we will ever have. This reality comforts us during the hurt and pain we feel in this world because it reminds us that despite the pain and suffering, God is always inviting the world into a healing, nourishing relationship with Him. We truly don’t belong in this sinful, broken world, but we do belong to Christ. He is loving, gentle, and just. He is ever-present with us. He knows us, hears us, and sees us more than anyone else. Even if we don’t sense his presence, the truth remains. He is our constant. In him, we always belong. Because of this, we can be secure in all other situations. Community starts with an invitation. Do you remember that one friend who always invited himself over? How often do we subtly do the same when desperately trying to fit in? The best community starts with an invitation, whether it be an invitation into a community of faith or to a dinner with friends. Out of the overflow of the belonging we find in Christ, invite others into that belonging too. Be the one to invite people over. Be the one to invite people to be honest. Be the one to tell someone, “You can come back here because you’re welcome and you’re loved.” Sometimes fear can keep us from making authentic connections with others and from being our true selves. For some, it’s easier to live in isolation than to make an effort to be known and to know other people. But the truth is, we need each other. And we always will. Sometimes we just need a reminder of the power of community. In community, when we are honest and vulnerable with each other, we find ourselves in a healing place. Community is where we share together, learn together, and grow together. None of us are perfect, and we can’t prevent the inevitable strain that always comes in relationships, but we can choose to continually love each other and to forgive. This is the authentic, exciting, and fulfilling life of the Church. I’ve found that belonging is less about feeling, and more about recognizing. One of the best examples of this is at a wedding. Usually, if you’re not in the wedding party, you find yourself at a table full of people that you don’t know. If you’re anything like me, I tend to think the bride purposefully put us at this table to become friends with their other friends. The pressure is on. Small talk ensues and the usual pleasantries are asked. Maybe it’s just me, but it drives me crazy to know I’m putting effort into forming relationships with people I will never see again. It feels pointless. But it’s in moments like these that I remind myself that it’s still worth it, because when I recognize where I truly belong, and whose I am, I don’t have to fear rejection from anyone. I can confidently share myself with others, valuing them and learning their stories, even if it’s just for a few hours. It’s not about feeling like I belong in this moment to these people; it’s about recognizing that I belong to Christ and am included in his family. In life, we will go through times of loneliness, hardship, confusion, as well as joy, peace, and comfort, sometimes simultaneously. No matter where we are in life, because we are human, we desire belonging. As we seek to fulfill this desire, let us unabashedly cling to the one whose we are and choose to walk in that freedom. 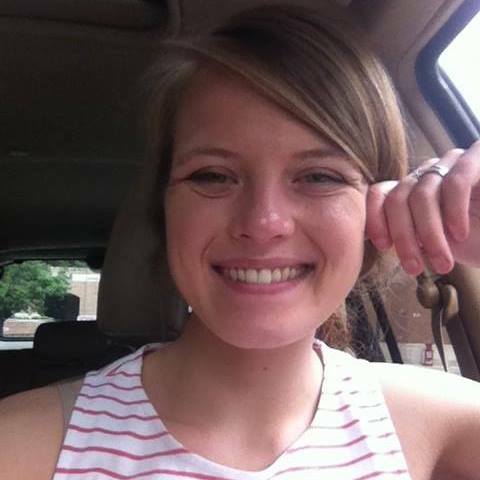 Megan Hill is a graduating student at Moody Bible Institute in the Counseling/Psychology program. She is passionate about discipleship, missions, and striving for authenticity. She also weirdly loves to wrap gifts, ride her bike, brew coffee, and pull pranks on those she loves most.